JoAnn Stowers Service Details - East Liverpool, Ohio | Dawson Funeral Home, Inc.
EAST LIVERPOOL – JoAnn Stowers, of Y&O Road, passed away Tuesday morning, November 27, 2018 at her home. She was 80. 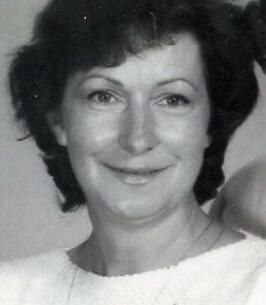 Born in East Liverpool, January 25, 1938, she was a daughter of the late Harry D. and Alice M. Rogers McFarland. A homemaker, she loved to cook, read, sew and spend time with her loving family. She was preceded in death by her husband, Kermit G. Stowers, on September 1, 2003. The couple married August 22, 1955. Two daughters survive, Debbie Burcham and Cathy Kirkbride, as well as a son, Tim Stowers and his wife, Penny, all of East Liverpool. She also leaves three grandchildren: Corey Burcham, Matthew Kirkbride and his wife, Trudi, and Megan Kirkbride Ehlenbach and her husband, Mikey, along with eight great-grandchildren. In addition to her parents and husband, she was preceded in death be a daughter, Lisa Stowers, and two brothers, James R. McFarland and Harry A. McFarland. Friends may visit from 10 to 11 a.m. Thursday at the Dawson Funeral Home. To send flowers to the family of JoAnn Stowers, please visit our Heartfelt Sympathies Store. Debbie, Cathy, and Tim, I am so sorry for the loss of your mother. As I write this I am flooded with fond memories of JoAnn. She had a huge loving personality for being such a small lady. My thoughts will be with you during this difficult time. Love and hugs to you all. Debbie, Kathy, Tim and family. I am so sorry for the loos of your mother. I have such great memories of all of us at grandma and grandpa's up on Big Laurel. Love and prayers to all.